If you’re a first-time parent, you want everything in your home to be perfect for your baby. Marketers know this and will try to sell you some of the craziest things. These supposedly baby “must-haves” sound good when you first hear about them, but are absolutely useless in real life. Here are some of the things you’ll probably want to steer clear of when preparing for your new arrival. Let’s start with something that is just plain silly. Babies are born adorable. They don’t need bangs. Why a company thought it would be a good idea to sell a baby headband, complete with fake hair that looks like it came straight out of “That Seventies Show,” is a mystery to all. You can check out this cringe-worthy product at baby-bangs.com. If you still feel the urge to shell out $29.95 for this accessory, don’t say we didn’t warn you about the buyer’s remorse that will surely follow. 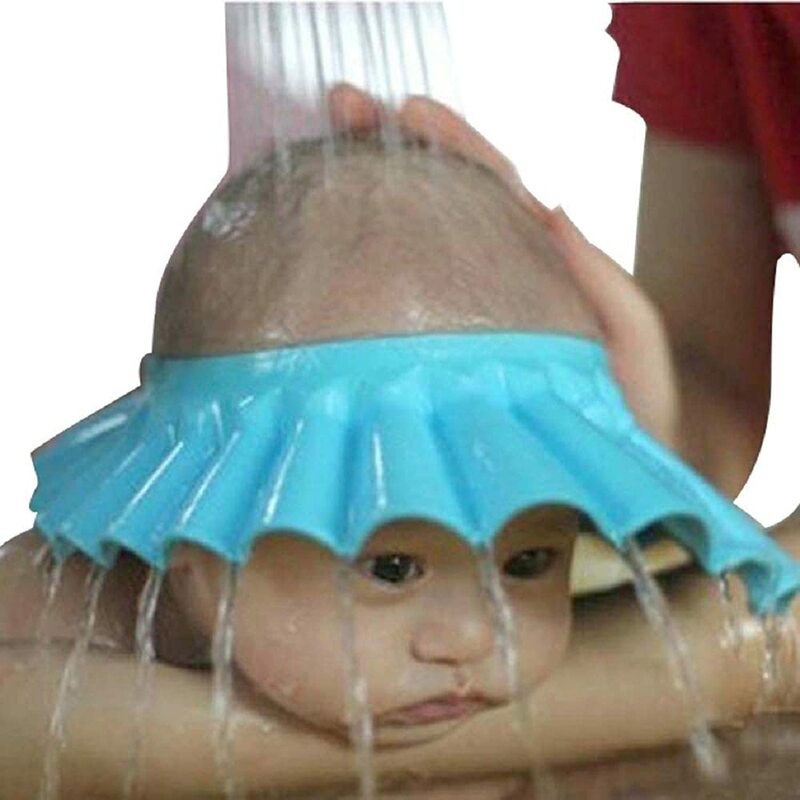 Granted, this Baby Bath Hat will only set you back less than two dollars. But honestly, you can find better things to do with a couple of bucks. One look at the baby’s face in the product advertisement tells the tale. If you really want to keep the water out of your baby’s eyes during bath time, cut a hole in a Styrofoam plate and save yourself the money. On the other hand, if you’re looking for a prop for one of those embarrassing baby pictures, this one is pure gold. What if you’re out with the baby and you really have to go to the bathroom? You can’t hold the baby and do a number one, so what happens then? It’s this kind of what-if thinking that might lead you to cough up $39.99 for the Babykeeper Basic. 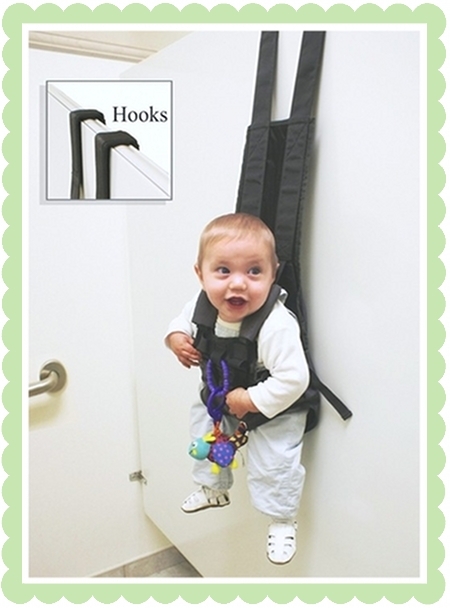 It’s a harness that comes complete with convenient hooks. When you have to go, just hang up the harness on the door while you do your business. Tempting, but is it really safe? 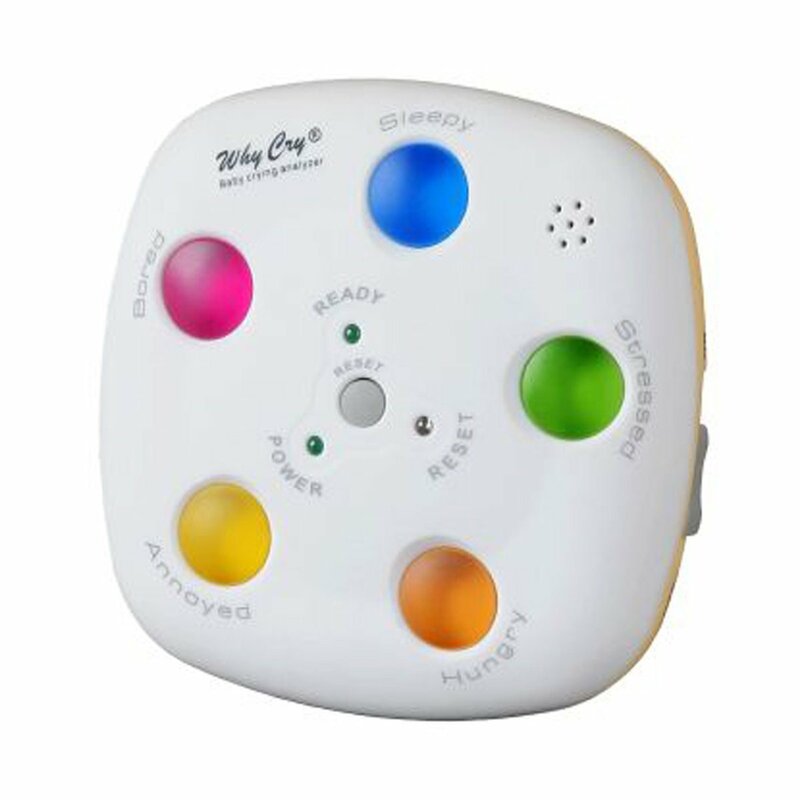 This serious piece of technology has a serious price tag to go with it: the Why Cry can be yours for around $200. The machine analyzes the sound of your baby’s crying and makes a guess as to what’s wrong (wet diaper, hungry, frustrated, etc.). Or, you can do it the old-fashioned way, make a few basic checks, and save $200. A lot of new parents seem to have fallen for this one, since this product is currently sold out in Amazon. At first glance, this fan seems quite reasonable. 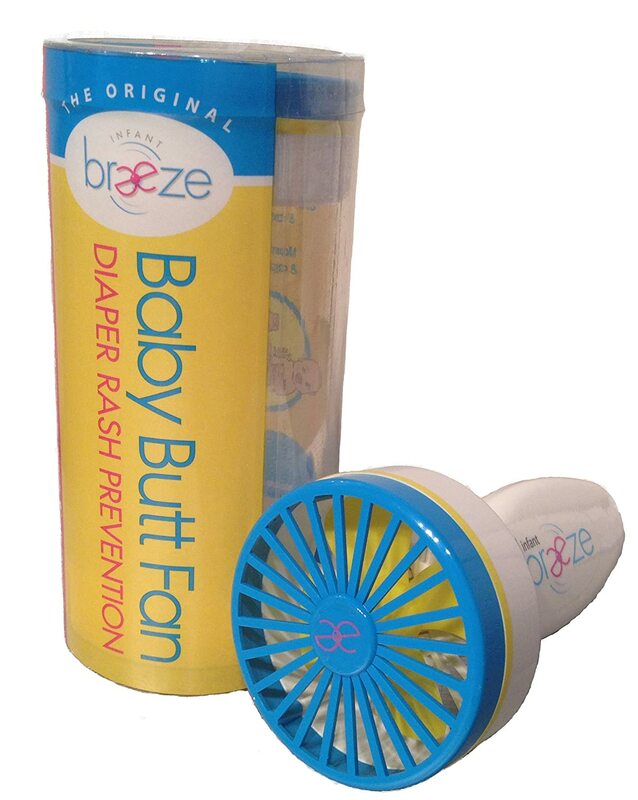 Letting your baby stay in a wet diaper can cause skin irritation and rashes, so you want to make sure your baby’s bottom is nice and dry before putting on a fresh nappy. Once you think about this product for more than a second or two – I mean really do some critical thing – you realize that you can save yourself the twenty bucks. This is a familiar experience for new parents. You’re out in public with the baby, his lunch or dinner doesn’t agree with him, and he throws up all over your clothes. The solution? Catch the baby’s vomit with an attractive and overpriced barf bag! Sadly, there’s just no way to make a baby’s spit up appealing. Save your money and take a pass on these. It doesn’t cost much, so what’s the harm, right? This cute duck is actually a cleverly disguised thermometer that shows if the bath water is too hot, too cold, or just right. The problem is that in order to read the display, you’ve got to take the duck out of the water. To do that, you have to put your hand in the water. At this point, you already know if the bath is too hot, too cold, or just right. These safety harnesses come in an overwhelming variety of designs. You’ll find everything from cute and cuddly looking monkey designs, where the monkey’s tail is the tether, to more practical harness designs that look like they’d be suitable for the family dog. While nobody is likely to call Child Services on you for putting your baby on a leash, you’re all but certain to attract the wrong kind of attention with this product. There are better, less bizarre ways of keeping track of your little ones. The Walking Wings harness is priced at $24.99, and at first glance seems like a brilliant idea. It looks quite handy for that 2-3 week period in your child’s life when he or she is learning how to walk but hasn’t quite gotten it yet. The problem though, is you. You’re not going to spend the 20 to 30 minutes it takes to wrangle an unhappy baby into the harness just to spend five or ten minutes practice walking. You’re almost certainly not going to do that multiple times a day every time baby wants to walk somewhere. A great idea in theory that just never delivers. And finally, we have to give an honorable mention to just about every doodad made to go on strollers, from detachable cup holders to rear view mirrors. They’re all either more trouble than they’re worth or you find that you just don’t use them much, making them a waste of money. At the end of the day, remember that young babies spend most of their time doing one of three things: eating, sleeping, and needing a diaper change. If the product you’re considering doesn’t directly relate to one of these, odds are you’re not going to need or use it much. Better yet, save money with this list of free baby samples that you will actually need.